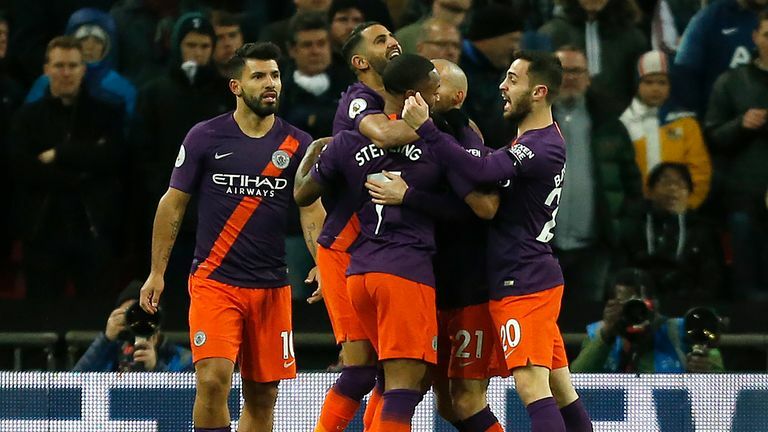 Riyad Mahrez's early goal gave Manchester City a 1-0 win over Tottenham at Wembley to send them back to the top of the Premier League. Mahrez's close-range finish gave the champions the victory after Kieran Trippier's mistake (6), and the former Leicester man raised his hands to the sky in celebration, afterwards dedicating the goal to Foxes owner Vichai Srivaddhanaprabha following his tragic death. David Silva somehow missed from close range after the break, and Spurs missed their big chance late on as Erik Lamela struck over the bar from 10 yards with the goal gaping. 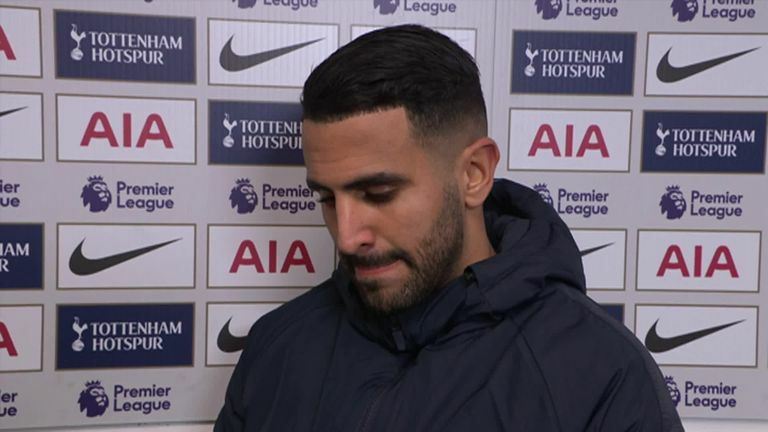 An emotional Mahrez paid tribute to Leicester owner Vichai Srivaddhanaprabha. The result means Man City remain unbeaten with 26 points out of a possible 30, while Spurs are five points further back in fifth. Much of the talk pre-game was of the state of the Wembley turf following the NFL fixture on Sunday, and City chose to bypass a worn-out central area for their early opener. Ederson's long punt caused problems for Trippier, who got caught under the ball and allowed Raheem Sterling to ease into the area, before Mahrez slotted home his centre from eight yards. 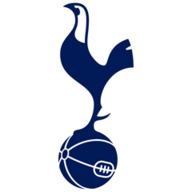 Harry Kane then struck narrowly over from 25 yards, Toby Alderweireld directed an unmarked header straight at Ederson, while at the other end Mahrez's effort from a tight angle was tipped onto the post by Hugo Lloris. David Silva missed a glorious chance to make it 2-0 after the break from Bernardo Silva's square ball, bizarrely choosing to take a touch from six yards with the majority of the goal to aim at. Spurs made just one change from the win over West Ham, with Moussa Dembele coming in for Harry Winks, while Dele Alli and Christian Eriksen were on the bench. 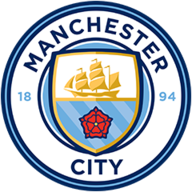 There were two City changes; Raheem Sterling and Kyle Walker returned, with Vincent Kompany and Leroy Sane dropping out. 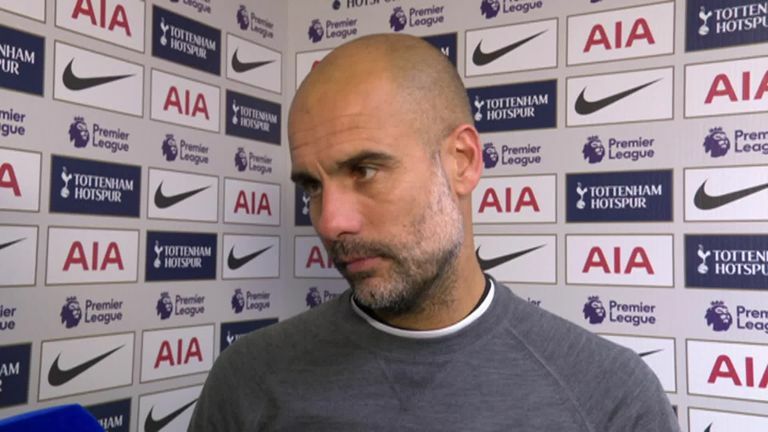 Eventually, Sterling saw his effort blocked and Spurs survived, much to the anger of Pep Guardiola in the dugout. Sergio Aguero should have done better as he struck straight at Lloris from 10 yards in space, and Spurs were somehow still in it with 10 minutes remaining as Erik Lamela skied over from 10 yards with just Ederson to beat from Dele Alli's pass. 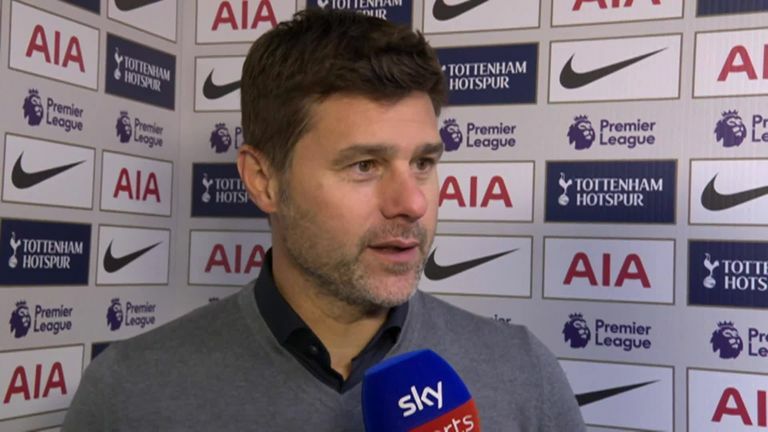 Mauricio Pochettino: "[Manchester City] is a team that is focused on trying to win titles, we are focused on different things, not only to win games, but still the gap is not big, but we have to respect the gap and we have still not achieved the level of Manchester City." Pep Guardiola: "In the big events, especially in the Champions League, we need to be more clinical in this situation because sooner or later we are not going to win." Gary Neville on MNF: "The impressive things is City's defending. Their record is fantastic. We wondered a year ago whether Stones could step in along with Laporte - they've only conceded one goal as a pairing. Guardiola has bled them into this team gently. If they stay fit and grow together they could be something special. Laporte was outstanding tonight. Not conceding goals gives you so much confidence." Neville was impressed, but the Spurs strikeforce weren't. Laporte, alongside Stones, refused to let the hosts through, and put in a masterful performance both positionally and in the air. His seven clearances was a team-high, as City's fine defensive form continues with the French centre-half. Manchester City became the first non-London side to win five consecutive Premier League games in the capital, with all wins coming in 2018 (against Arsenal twice, Spurs twice and West Ham). Two of Tottenham's four Premier League defeats at Wembley have been at the hands of Manchester City. Manchester City have conceded just three goals in their first 10 Premier League games this season - in top-flight history, only one team have conceded fewer in their first 10 games of a season (Chelsea in 2004/05, two conceded). Spurs have lost two home Premier League matches in a calendar year against a single opponent for the first time since 2005, when they lost twice against Chelsea at White Hart Lane. Tottenham now go to West Ham in the Carabao Cup last 16 on Wednesday night, while Manchester City host Fulham in the same competition on Thursday night.